Ford has announced the dates for its free training scheme for young drivers. Ford Driving Skills for Life will be rolled out across the UK from September and be organised in conjunction with the Royal Society for the Prevention of Accidents (RoSPA) and the Automobile Association (AA). It’s hoped the national scheme will cut accident rates among motorists aged 17-24. For the initial training sessions, venues in Manchester and London have been chosen. The first event will take place at the Trafford Centre in Manchester on 7 – 8 October, before heading to London’s ExCeL exhibition centre on 11 October. The training will feature a combination of classroom based teaching and hands-on exercises, which will cover: vehicle handling, hazard recognition, distractions and speed/space management. 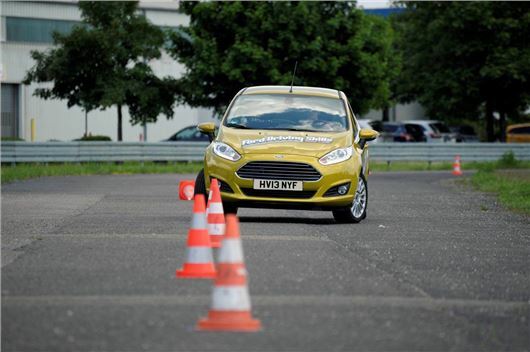 All practical training will take place on private roads, with AA driving instructors in Ford Fiestas. Ford is investing £1.2 million in the scheme and it’s hoped more than 5000 young drivers will benefit. The company has been quick to emphasise that the training will focus purely on safety and no commercial pressure will be put on pupils to buy cars. According to Department for Transport statistics, one in five of all reported personal injury road accidents in 2011 involved young car drivers, with 1552 were killed or seriously injured.